Henley got back to winning ways on Saturday as they overcome a young yet resilient Finchampstead team, with the away side falling 23 runs short of Henley’s 260-8. An improved batting display from the 2017 champions on a challenging batting wicket meant the 2016 Champions were always a little behind the 8-ball, despite a spirited chase lead by captain Dan Lincoln. 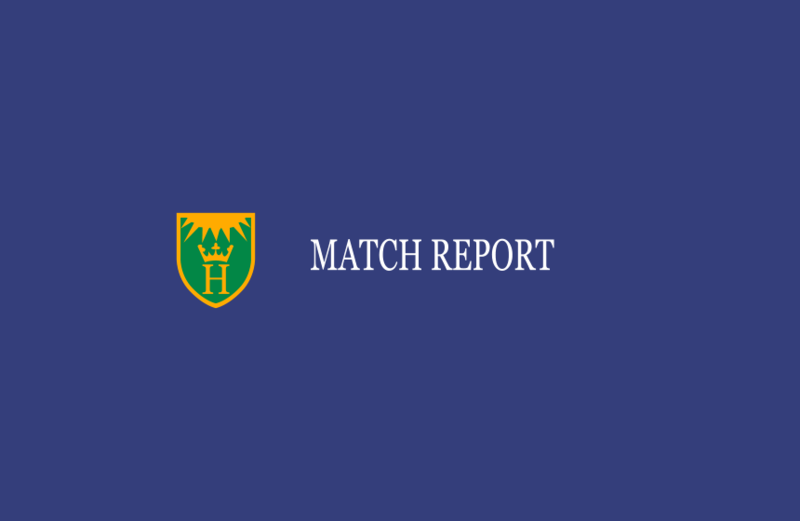 The win, which followed two consecutive losses, will undoubtedly provide Henley some much-needed momentum as they begin the declaration games, which kick off against Horspath this Saturday. Having won the toss on a wicket which fell victim to water draining underneath the covers during the latter part of the week, Finchampstead won the toss and unsurprisingly decided to bowl first. Although conditions certainly suited the seam bowlers, Henley openers Michael Roberts and Matt Rowe set about building a solid platform, something which has been lacking a little so far this season. Both played patiently off the front-foot where driving the ball was undoubtedly tricky, whilst ensuring that anything fractionally short was duly punished. Their application ensured that Henley reached 83 for the first wicket, which fell courtesy of some very effective spin from James Woodford, accounting for Rowe who miss-executed a pull to be caught at mid-on by Akram. This brought Morris to the crease, who proceeded to get after the spinners, especially Jindal and Akram, and his partnership with Roberts moved the score passed 100 and onto 150 in good time. Both batsmen mixed solid defence with ruthless attack when the opportunity presented itself, putting pressure on a youthful Finch attack. The partnership was brought to a premature end however when Roberts was dubiously given out caught down the leg-side for a well-compiled 71. Rishton joined Morris and continued the attacking intent but lost his impressive partner Morris (47) with the score on 167, caught behind off Quinn. Woods and Barnes came and went in quick succession, before Mikey Williams, who has applied himself well every time the opportunity has come his way, rebuilt with Rishton and brought the score beyond 200. Rishton (39) then departed, adjudged perhaps somewhat unfortunately LBW, before the returning Ashraf and Brock, along with Williams, brought Henley up to 260-8 off their allotted 50 overs. Although a good score, none of Henley’s batters were really ‘got out’, whilst no one went on to make a truly match-defining innings, thus work still needed to be done in the field. The defence started indifferently, with extras (which would amass to 36 at the end of play) being leaked left, right and centre by both Nugent and Afridi. Nonetheless in and amongst this were some unplayable deliveries, and the former accounted for Predgen (0), before the latter removed Smith (LBW) and Jindal (caught behind), leaving Finch on 46-3 with it all to do. However, Lincoln and Bell combined effectively to not just rebuild, but also put pressure on back on Henley on an ever-improving wicket, and at drinks the game was on an even keel. After drinks, Lincoln and Bell continued to impress until their stand of 92 came to end thanks to Brock, who had the latter caught by Rowe at mid-wicket. Rowe himself bowled well in tandem with Brock, creating pressure and limiting boundary options, something up until this point in the season, Henley had struggled with. The pressure began to tell when Quinn fell for 6, bowled by Brock. This left the Lincoln brothers at the crease, needing to go at 10-an over for the rest of the fixture to grab the win. With 8 overs to go, both batters began to take necessary risks and for a while, found the boundary with alarming regularity, bringing Finch right back into the contest. With the game approaching the last 6 overs, both Nugent and Afrdi re-entered the attack and although both were punished in their first overs back, their class shone through as the last 4 overs went for no more than 25. You will struggle to see better execution of death bowling this side of the professional game, and it epitomised the much-needed improvement of skill which ultimately, has not been at the requisite standard so far this campaign. Their match-defining spells meant the away team finished on 237-5 off 50 overs, giving Henley a deserved victory. Credit nonetheless must go to Finchampstead for a spirited display with a relatively inexperienced side, well lead by Lincoln. After the game, despite being happy with the team’s victory, Henley skipper Roberts was also quick to point out that there is still plenty of improvement to be made, saying that, “we’re obviously really happy to get the win. We showed a much-improved team display with the bat, whilst our skills in the field during the second 25 overs began to reflect the team’s capabilities. However, the outcome cannot mask the fact that we still have no 100s yet this season, whilst 36 extras per game is not going to win leagues.” On what the team needs to do going forward, Roberts stated that, “it’s just a matter of working a little more diligently on our skills and going into games fearlessly expressing these. If we can be disciplined with this each week, we’ll give ourselves a better chance of putting in match-winning performances”. Henley host Horspath on Saturday in the first of the timed-fixtures, with a start time of 11am.